Shape Up NYC (partnered with the Department of Parks and Recreation, Equinox, NYC Service, and Empire BlueCross Blue Shield) offers more than 175 free fitness classes every week at locations across the five boroughs to helpNew Yorkers shape up. Mercy Irizarry teaches Zumba class on Saturdays in West Harlem Piers Park – Enter at 125th St.
New riders, ages 5 years and up learn to balance, ride, and enjoy life on two wheels. Don’t have a bike? A limited number of kids bikes will be available free of charge from Bike and Roll NYC. To ensure bicycle availability, please reserve by calling (212) 260-0400. Fred Moore is the first African American to guard the Tomb of the Unknown Soldier at Arlington National Cemetary in Washington, D.C.Hear him tell his story. Hal Jackson was intimately associated with the career of Mandrill. He was at the helm at WBLS/WLIB in New York City when our third album, Composite Truth, hit the streets in the early 70s. Hal believed in the Wilson Brothers /Mandrill and supported us in every way. He relayed that spirit to his entire staff, including such world-class announcers like Frankie Crocker, Vaughn Harper, Vy Higgensen, Ken Spider Webb, G. Keith Alexander and so many others. This support contributed to a break out album in the US and abroad and garnered gold album status for Mandrills Composite Truth including such hits as Fencewalk and Hang Loose. Mr. Jackson will be remembered as a close friend and mentor. He will also be looked to as an individual who took the bull by the horns and did it his way. He was the first Black radio announcer on network radio and was on the air for more than 70 years, The entrepreneurial example that he has set is indeed a blueprint for freedom and independence in this dog eat dog entertainment industry. He will be truly missed but his spirit and legacy will live in our hearts and minds forever. We love you Hal and may you rest in peace. 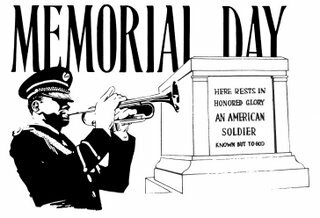 Visit USA.gov’s Memorial Day page to learn about the origins of this federal holiday; read veterans’ stories; find patriotic songs; get tips on barbecue, boating, and swimming safety; and more! * In a highly symbolic move, ex-Assemblyman Adam Clayton Powell IV will endorse Manhattan Rep. Charlie Rangel today, according to a source with knowledge of the endorsement and confirmed by a campaign press release. A spokesman for Rangel, Bob Liff, said he had heard that the endorsement was taking place, but did not have direct knowledge of it. Ive also heard the same thing, and its always nice to be with Mr. Powell, Liff said. The endorsement will occur in front of a statue in Harlem of former Congressman Adam Clayton Powell, Jr., whom Rangel unseated in a primary in 1970. Now, Rangel faces perhaps his toughest test since then, running in a highly competitive five-way Democratic primary, which includes a top-tier challenger in state Sen. Adriano Espaillat. Powell IV, the ex-assemblyman, is the son of the former congressman. In 2010, Powell ran against Rangel but lost by a substantial amount, despite scandals swirling around Rangel at the time. But now, the redistricting process has made the seat far more Latino-heavy, and Rangel faces a tough test from Espaillat and three others.